11:43 a.m. Call to the grid after wet condition delay. 11:57 a.m. Moderate rain on front straightaway. 11:59 a.m. Heavy rain on the Speedway, preparations to start suspended. Noon Cars ordered back to pits. 1915 The 1915 race which was scheduled to run on Saturday, May 29, because Memorial Day fell on a Sunday that year, was postponed the day before the race and rescheduled for the following Monday in order to give the racing facility more time to dry out from the torrential rains that had hit the area during the week. 1986 The 1986 race was scheduled for Sunday, May 25, but rain forced postponement of the event until the following day, which was also washed out. The race was then rescheduled for, and successfully run, on Saturday, May 31. 1967 The race was rained out after 18 laps and finished the following day. 1973 The race was started on Monday, May 28, but the first-lap accident involving Salt Walther forced the red flag and the race was rained out before it could be restarted. It was postponed again on Tuesday, May 29, after rain began falling during the second parade lap. 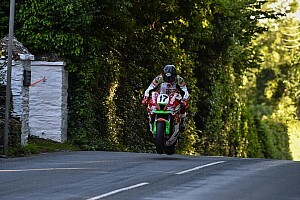 The race finally got under way on Wednesday, May 30, but rain again caused the race to be stopped and ruled complete after finishing 332.5 miles. The 1926 "500" is the only race to have been stopped by rain twice in the same day. 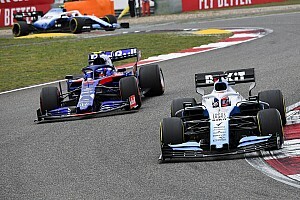 The race was temporarily halted because of rain on Lap 71 and was declared officially over when rain once again stopped the proceedings at the 400-mile mark. In 1940, the final 50 laps were run under the caution light because of rain. USAC Chief Steward Keith Ward announced over the public-address system at 1:30 p.m. that rain and continuing wet conditions have closed the track for the day. 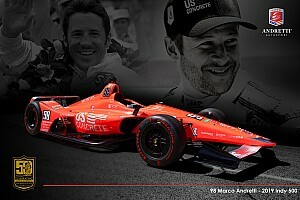 Ward said the 81st Indianapolis 500 was rescheduled to start at 11 a.m., Indianapolis time, Monday. At 1:45 p.m., Robby Gordon, scheduled to compete in a stock-car race at Charlotte, had left the grounds. STEVE KINSER: "We have no more races coming up. Hagerstown (Md.) has already been canceled. I'm going to get some rest and take it easy for tomorrow." JEFF WARD: "I hope we get it off tomorrow. We were ready to go. We kinda knew once we got in the car, it was still going to rain. It's just a different feeling than if it's a bright sunny day. I feel bad for the spectators mostly and the TV and things. (On running at Texas race) "It probably doesn't help my chances if it's (the 500) run the following week. I think that's why they're going to run on Tuesday. There's no time for those guys (other teams) to rebuild their engine. Those other guys don't have the crew or car to do it." TYCE CARLSON: "Sleep's no problem for me. We pretty much knew it was gonna rain. I've been living here in Indianapolis all of my life. It's still going to be the Indianapolis 500 no matter when it's run." DR. JACK MILLER: "I'm not going to let that get in my mind. I'm just going to go out and give it my best shot and whatever happens, happens." JOHN MENARD (Car owner) : "We're kind of glad. Tomorrow will be another day and we'll be able to run 500 miles. We were a little bit afraid we'd get started and have to stop halfway through. I don't think it (the rain) will affect our strategy too much. LARRY CURRY: (Team Menard director of racing) (On equipment) "These cars have a lot of electronics on them. We've got to check everything out. All of our radios and computers were out in the pits. The things (car) we were starting the race with were all secured down and covered. The pits were wiped out. Spare ignition box and other spares had a cover on them, but it wasn't waterproof it all got saturated. To dry the parts we use if you believe it a hair dryer or brake cleaner." 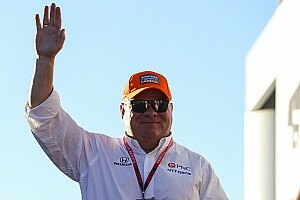 DAVE FORBES: (CHIEF MECHANIC FOR #42 ROBBY GORDON) "He has already left for Charlotte. I don't know their schedule there, but I hear it is possible it'll rain. This race comes first, so Robby will be here tomorrow, no matter what. It's been a long month, and we'll all go home and get some rest tonight. We won't be doing anything to the car tonight. We'll just bring it out, like today. This was kind of like a test run. There's only two members on the crew that have been here before, so this is like a pre-race test, to shake out our jitters." SAM SCHMIDT: "I wish it was nice so we could go (ahead and race). I don't like waiting. It's kind of disappointing, because we have forty plus HOPE people here, and I'm not sure what their plans are. We'll just look ahead and start to prepare for tomorrow. I'll do the same thing I did today. " PAUL DURANT: "You don't know where my wife is...? Everything's just been pushed back 24 hours. Hopefully, the weather will be a breakthrough tomorrow." STEPHAN GREGOIRE: "I don't think it is good for the teams, the sponsors, and the fans and everybody here. It is the biggest race ever and is the biggest thing for the Speedway. It's not a terrible thing, just a shame. " 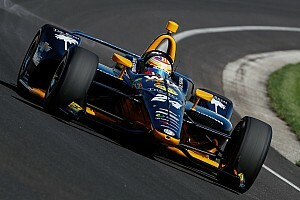 BUDDY LAZIER: "This is the eighth or ninth time I've tried to make the race and never expected this. It's a real discomfort for the fans. Believe it or not, a lot of them still had smiles. It's unfortunate for them. (On running a shortened race) "I'd like to run 500 miles. If you're leading (a shortened race) it's perfect, but everybody wants to run to the end. If we're going to run a short race, we'll set up different for a sprint. But we're set up for endurance. (Rain's effect on cars) "We've got more time to think. We won't make any changes, but no it doesn't hurt. The more time we have to think the better we'll be. (Mindset after postponement) "It's not any different. It's hard for a rookie, but for a long-time race you're used to it. If you love what you're doing, it can be fun. (Does back hurt in the rain?) "I could feel the rain coming, but I really thought we'd get it in. This is just amazing. (If tomorrow also rains out) "I feel bad for the fans and the airlines with the change in plans. The drivers won't have any problems. It's added a lot of work to the teams. They need at least a week to prepare for the next race." TONY STEWART: "There's no worries about tomorrow. It doesn't matter. I'll sit back and relax and do it tomorrow. I don't care, I just want to get 500 miles in. At least hopefully tomorrow we won't have to worry about the weather. (Rain's effect on cars) "Not really making any changes but we're checking the electronics. (Mindset of postponement) "I won't really have any problems sleeping." 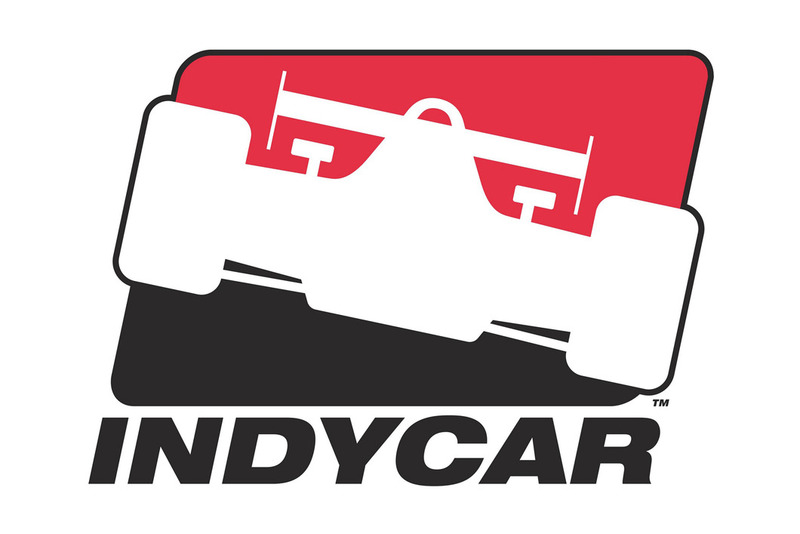 ARIE LUYENDYK: "There's no point in getting all upset about it. It's just a rainy day. I do feel sorry for the fans, people who can't come back. I know people from Holland who must fly back tomorrow and will not see the race. Those are the people I feel bad for." (Effect of possibility of rain on race pace): "If it looks like it's going to rain, you can prepare yourself for a 101-lap race but I'm not going to do that because you can't predict the weather and you must prepare yourself for a 500-mile race." EDDIE CHEEVER: (Since a rainstorm assisted in your last win, should we just declare you the winner?) "Yes, you can all go home now." (How does the rain delay affect you?) "I think it's real hard for everybody. It's a big drain for everyone. I feel sorry for the fans. It's such a pleasure to come out in the morning and there are hundreds of thousands of fans in the stands even in the rain. For the first hour, there were people in the stands that didn't move. We were able to go back to a dry garage, but they stayed in the rain. I think pushing it off a day will be all right, but we're running into trouble if we go later because of Dallas. We started preparing for Dallas a month ago. But, first thing's first." (About race strategy:) "If you've gone through half-way of the race and it starts to rain, from experience, I would say it's a good time to take the lead. Stay away from the rookies and take the lead." VINCENZO SOSPIRI: "I'm used to this kind of condition. I have raced in the wet before. I just do the same thing tomorrow. I said, "Why don't we just start in the wet with slick tires?' And Arie said, "I'm going to sit in the grandstands and watch you damage your car.'" (about a shortened race): "If I can, I will do the 500 miles flat- out from the first lap to the last lap." (About changes to car): "No. We have a very good setup in the car and we have a very strong engine. I don't think we'll have a problem." (About any trouble sleeping): "During the last week, I have slept for four or five hours, then I wake up, then I sleep, then I wake up, then I sleep. Last night was the first night I slept for six hours consecutively." (As a rookie doing pit stops): "I think the worst thing for me to learn here is the pit stops. But we have very nice pit guys and I think I have a good idea now." (Pressure? ): "Yes. I have not raced in 19 months now. There's a lot of pressure on me but you have to get used to pressure." LYN ST. JAMES: "I've been running around the garage with all this energy. " (about tomorrow): "We were ready today. Now, we'll just go out and do the same thing tomorrow...again." (About preparation the night before): "I usually invite a few people over to my apartment for a quiet dinner. I get a massage and go to bed early. You don't want to waste too much energy. I like to store as much up as possible." (About tonight): "I feel pretty relaxed. I'll just go home and take a bath and go to bed." (About the rookies): "Indy takes a lot out of you and some of these rookies aren't rookies because they come from all other forms of racing. This is 500 miles and we are going to run 500 miles. It would be a shame if they would cut it short because we are prepared for the 500." (Strategy): "We don't want to change anything. You just want to stay in control. If you don't have to push it, then you don't want to. Everybody seems to be asking this question and every driver has about 10 strategies in their own mind but you only pull one out at a time and adjust to the situation." JIM GUTHRIE: "The crew is going to have to service all of the air guns and all of the sockets to make sure they don't rust overnight, but other than that, it is not going to change things a whole lot. It was a relief that they called it. You don't want to drive in a wet driver's suit. My feet would probably slip off the pedals." (About tomorrow): "I'll probably take another nap and get a little more sleep tonight. I'm not going to do anything different today. But I feel sorry for the fans. Their preparation is just as difficult as ours. They're going to have to make a lot of changes and fight the traffic another day. For us, that's no big deal, but for them, it's a huge thing. I hope everyone will stick around and come back tomorrow." CLAUDE BOURBONNAIS: "You can't control the weather. I learned that a long time ago so I'm not going to worry about it. I don't have any secret preparations on Race Day. I like to relax and stay on an even keel, so I won't get too worked up about it. We weren't able to race at The Brickyard today, but I think I'm going to go over to Stefan's (Johansson) and go karting with my wife."